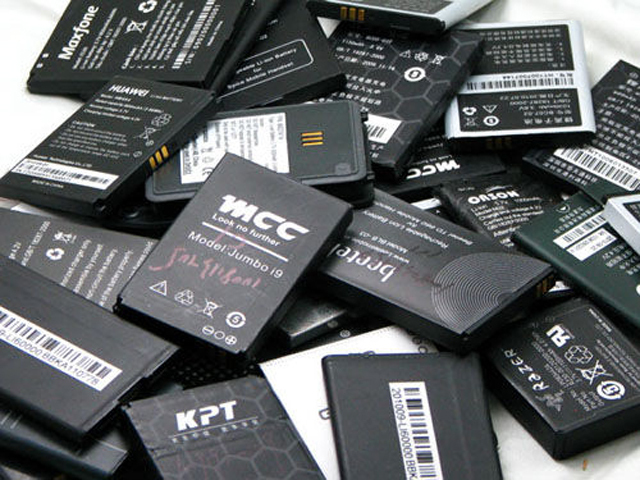 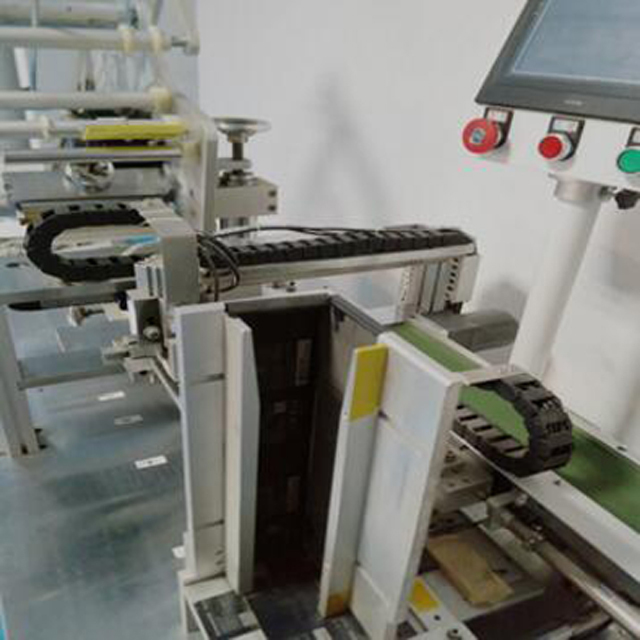 The utility model provides a full-automatic labeling machine of a mobile phone shell. 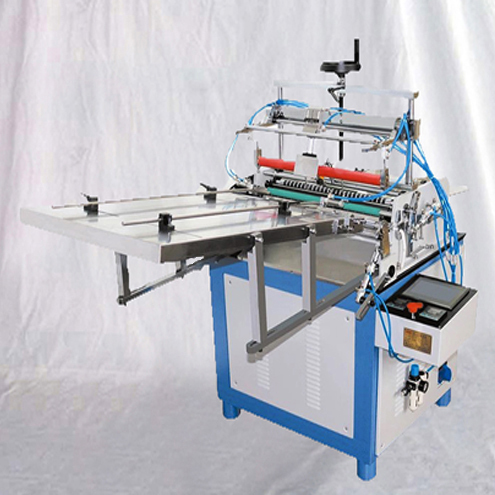 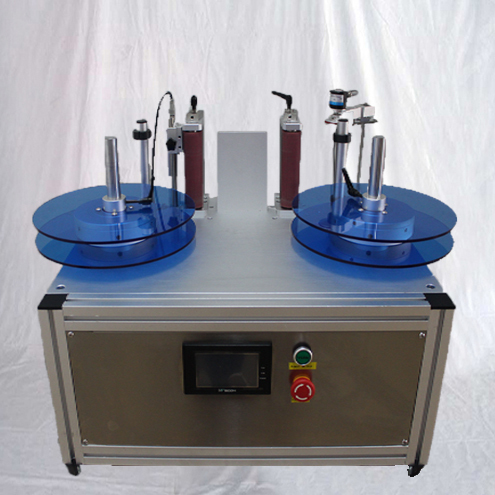 The full-automatic labeling machine comprises a foundation bed, wherein a material rack, a guide plate, a material stirring plate, a knurl wheel, a rubber wheel, a material absorbing gas cylinder, a material adhering gas cylinder, a material separating gas cylinder, a material jacking gas cylinder and a laser induction head are arranged on the foundation bed. 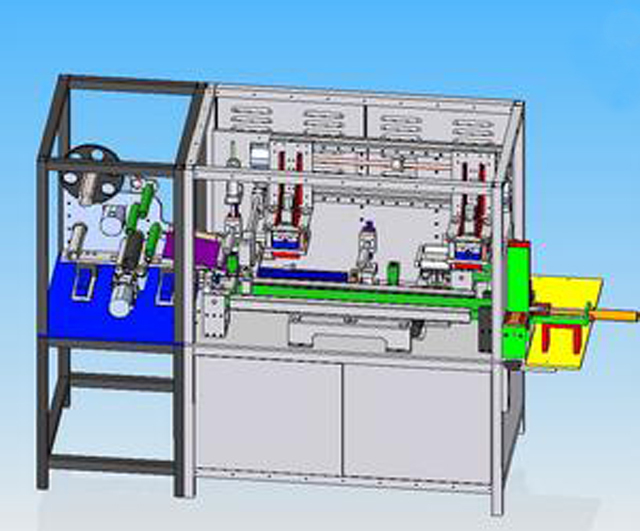 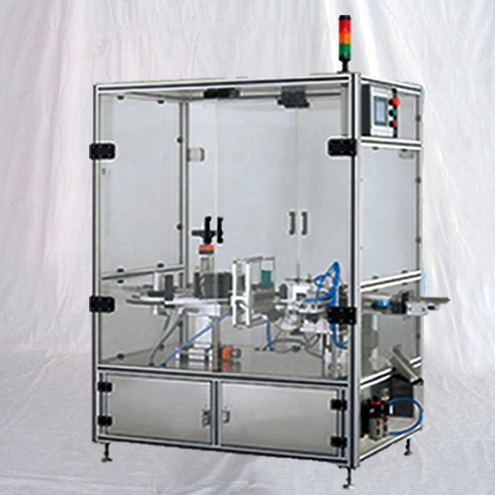 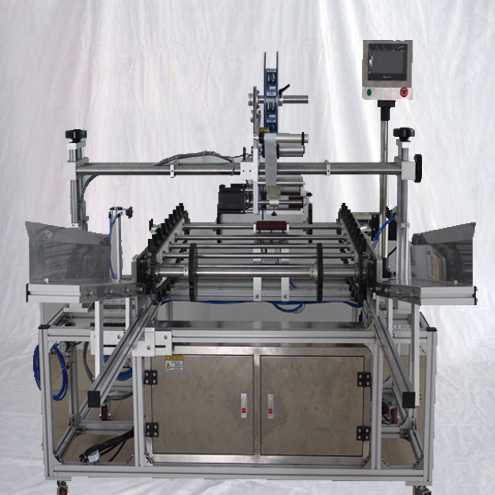 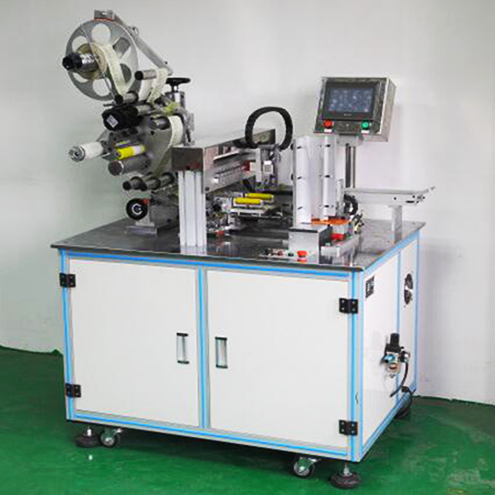 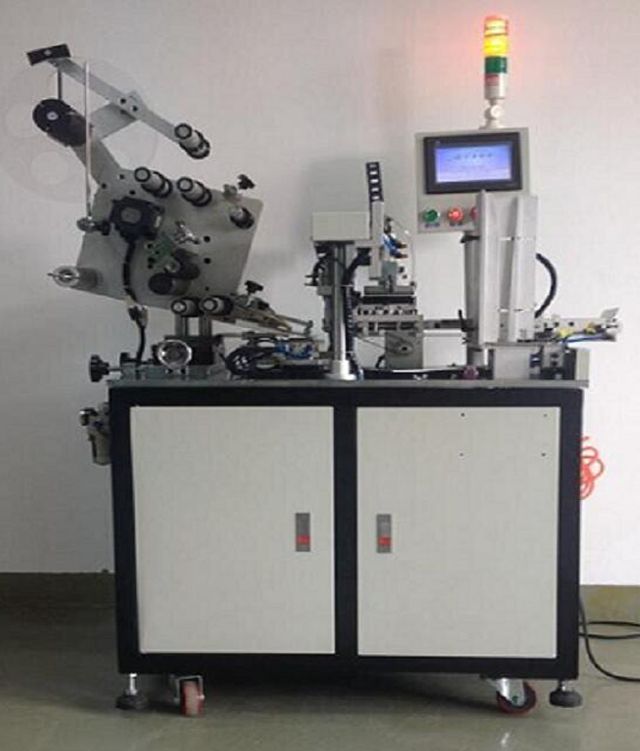 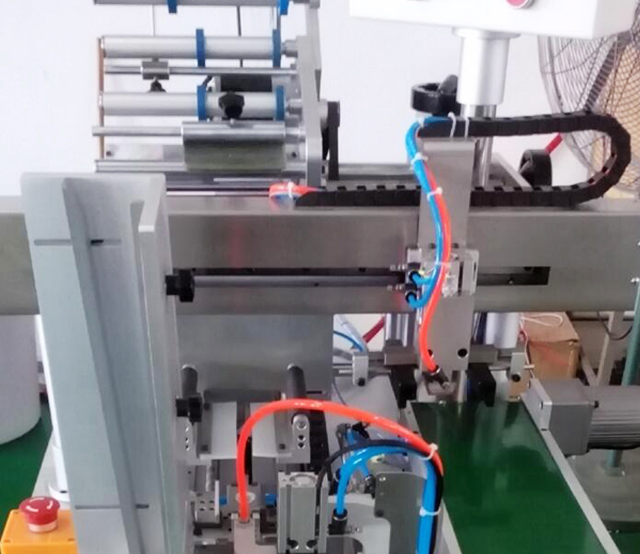 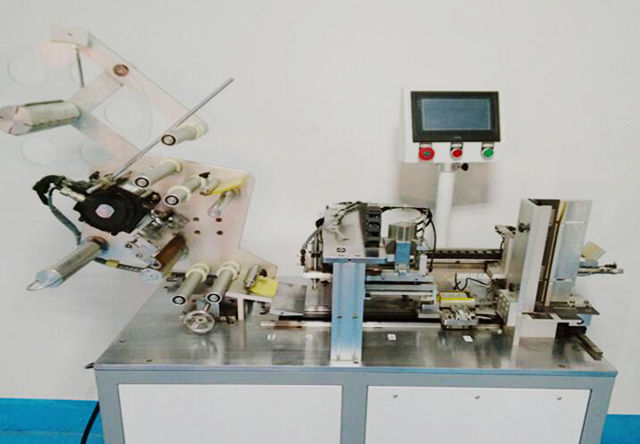 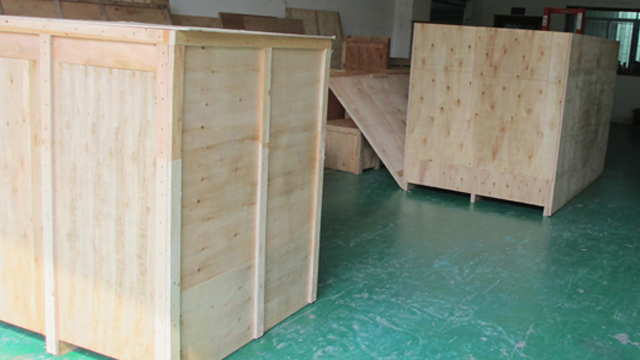 The full-automatic labeling machine of the mobile phone shell can be used for realizing full-automatic auxiliary material adhering of the mobile phone shell, completely reducing starting-up staff, greatly lowering the labor cost and effectively improving the production efficiency, so that not only can the problem that the manpower inside the factory is deficient be solved, but also the problem that the direct manpower cost is increasing day by day can be solved, and therefore, the manual operation problem of the mobile phone injection industry is truly solved, and the quick development of the mobile phone injection industry is truly promoted. 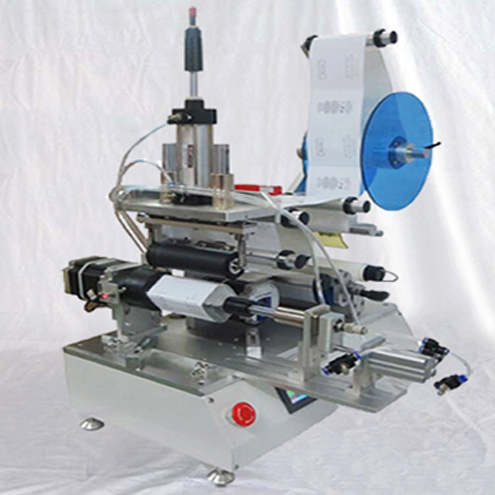 A phone shell automatic labeling machine, characterized in that it comprises a base, said material is provided with a frame, a guide plate, wave plate on the base material, a knurled wheel, a rubber wheel, a suction cylinders, a stick cylinder material, a dosing cylinder, a top and a laser-induced material cylinder head; the magazine rack by a motor-driven rotation, the material has a shelf with rolls of material, the material Bring sticky materials, the guide plate and the dial plate material with a vacuum holes are now offering a plurality of uniformly distributed, the dial plate material outer end with a cutter, a cutter for accessories from Strip poke; the knurled wheel is used to strip pressed on the rubber wheels, the rubber wheel motor is driven to rotate by a roll of material; the suction cylinder, cylinder and paste material by a dosing cylinder stepper motors and trace bar nut mechanism driven and move to the desired location; the lower part of the suction cylinder is provided with a tip for the adsorption of accessories, the tip of the knife for adsorbing material tape from poke excipients; said dosing cylinder for the exact location will be assigned to multiple phone shell accessories, feed cylinder for moving the stick down and attached to the phone shell accessories; the ejector cylinder for mobile phones Shell jacking up; when the laser sensor head senses the materials reaches the set position, the laser sensor head transmitting signals to the reel motor, the reel motor is stopped, waiting for materials to stay in the set position said suction suction head.